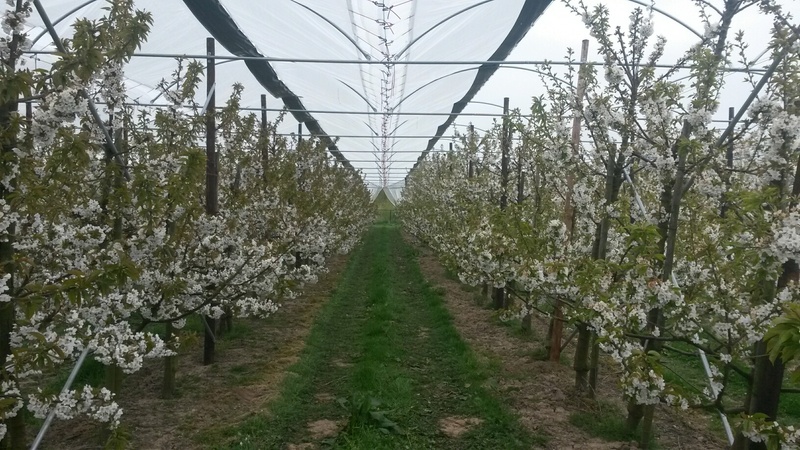 More and more fruit growers are discovering the benefits of protecting of their produce from weather with the help of rain canopies. 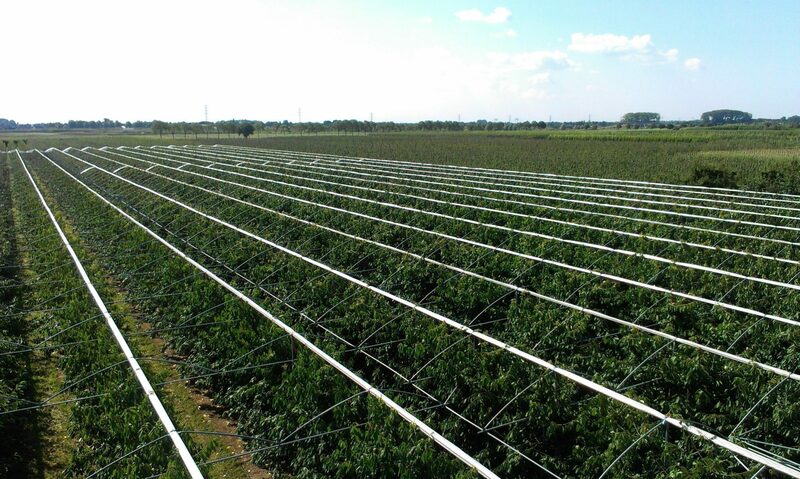 Fruit Support Europe B.V supplies diverse possibilities for the protection of your orchard. By being flexible with your specific wishes we can offer a canopy to suit. One example of our covering systems is a rain canopy with a gothic arch and a roll up covering. This canopy is available in a variety of sizes. 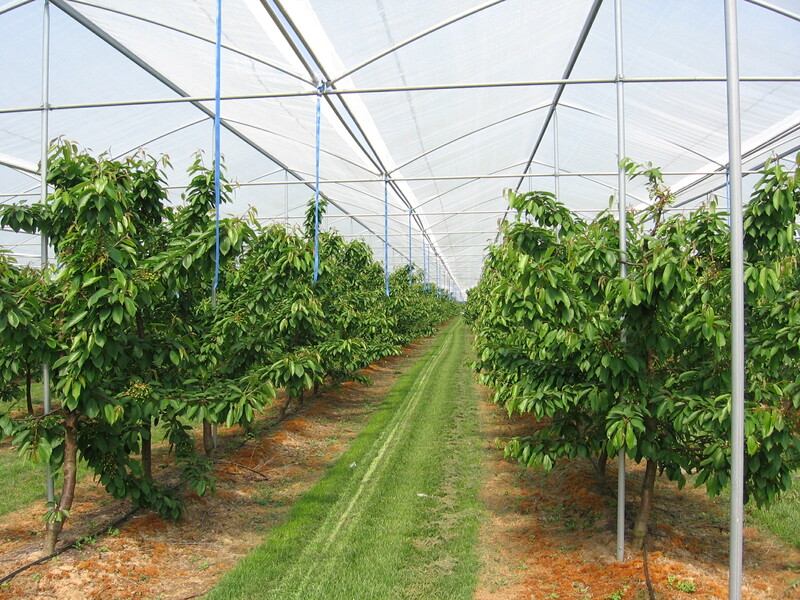 The film for the covering system consists of strengthened film with a strip of insect netting for ventilation. The covers can be rolled up with hand winches. The cover is held in place with tensioning straps whether open or shut. 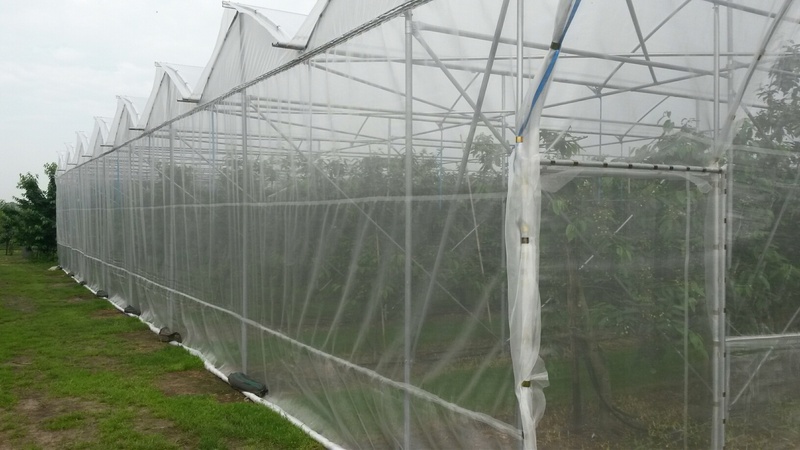 The biggest advantage of rain canopies with a roll up covering is that when night frosts occur it can be shut quickly and easily rolled open again. In addition, this hood construction can simply be fitted with wall enclosures to accelerate or extend the growing season. In addition, this makes it easy to attach Suzuki-net.